YOURSIDE admin made a mistake with the payment, so payment will start on 18 November instead. Prepayment period has been changed to 18 – 24 November. YOURSIDE/Always On Your Side is releasing the 2012 YOURSIDE CALENDAR ! Preview of the calendar will be released on 13 November so check back then for updates. Once the admin of YOURSIDE has verified your payment, your post will be moved. 1. Calculate your shipping price according to how many calendars you want to buy using the table above. 3. 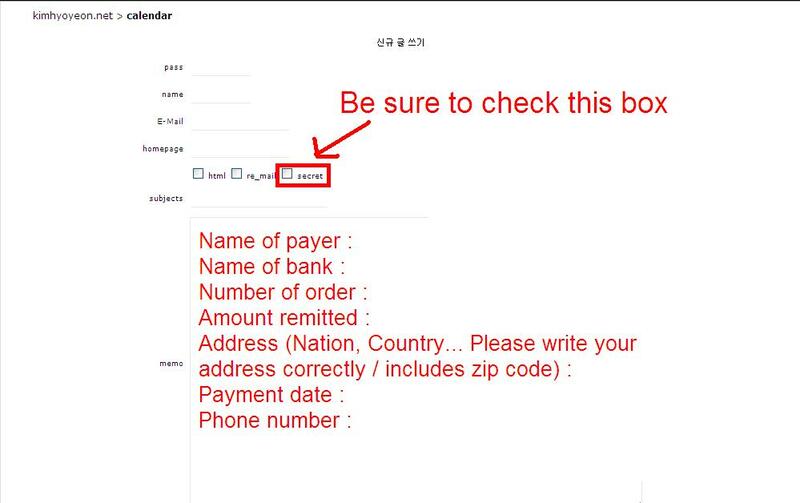 Submit order form via the link we have posted, using the above format. Seriously…anyone? Does anyone know an email address I can use to contact them or anything? I tweeted them but they didn’t reply. I was really looking forward to receiving this, hope I still can…it’s nearly March now though, so it won’t really fulfil its purpose as a calendar! If they don’t respond I’ll have to make a Paypal claim, I think. Did ANYONE else here buy this? Did they send you your calendar? I don’t know what to do; I’ve emailed and tweeted them but their twitter pages and YOURSIDE haven’t been updated since December…I spent a lot of money on this and was so excited to receive it. Can anyone help me? I can’t think of another way to contact them. It would explain quite a lot of things, but I didn’t post it here cause, as far as we know, there is no confirmation he’s telling the truth. I guess it’s all we have for now, though. Oh, I was a bit worried that it had something to do with something like this…poor her 😦 I guess it *could* be an elaborate ruse to get a lot of money out of people, but I’d like to believe that people are generally honest and not deceitful, so I guess I’ll go with this for now. Thank you for linking me. This is not an April Fools’ thing. 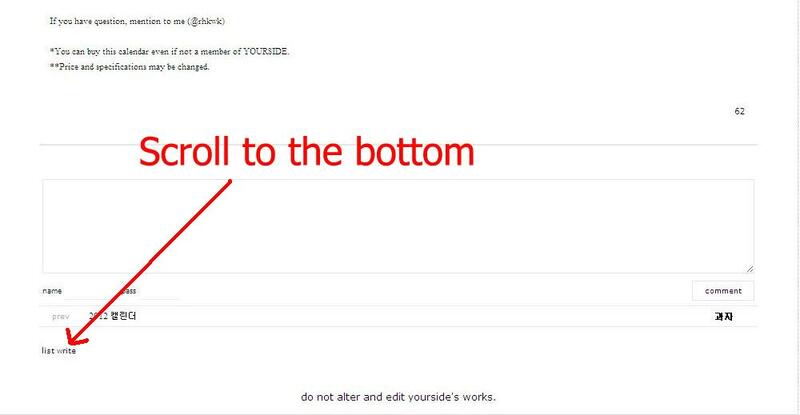 It seems like the YOURSIDE admin has actually scammed all SONE. Hopefully not true. [RT pls] We need to get an idea of how many people were affected by YOURSIDE. Can people who took bulk orders contact me? SONE who order the calendar plz contact oniontaker so action? can be taken. [YourSide] Secured an agreement. Everyone will be getting refunds. Anyone who has not contacted me please do so now. 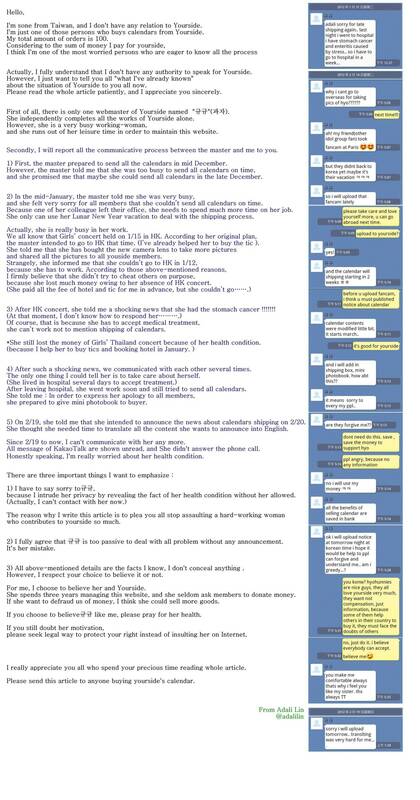 Sad that a SONE is actually scamming SONE of our $$. but at least we’re getting a refund!